Microdermal Piercings also called as the Dermal Piercings or the Single Point Piercing that is punctured on the surface of body. The stylish microdermal piercing could be placed anywhere literally that give a unique look compared to ordinary body piercings. Do you like to have the amazing stylish look of Piercings in your body? Of course the Microdermal Piercings are considered as the unique feature with fantastic style. Normally the micro dermal piercing is made with one end of the ornament emerging in the surface of skin and the other end will be embedded with dermal layer of the skin. It would give the beautiful appearance of small beads on surface of skin. The microdermal piercing becomes popular these days as they can be easily placed on any flat surface. It would easily allow decoration of areas which are quite difficult to use when compared to the regular piercings. Multiple microdermal piercing can be made with patterns to give the most dermal piercing that are attached to the ornaments with finger. However, the Microdermal Piercing must not be confused with surface piercing. In fact, Surface piercing would look exactly as that of the microdermal piercing but they have the surface bar that are followed plane on skin with showing 2 ends. Standard piercing is pierced through the skin but the microdermal piercing will be made under the skin in tissue of the body. Microdermal piercing procedure will be performed on the skin of the body so that it would be easier to allow the anchor piercing to insert jewelry. Microdermal piercings are visible from surface of the skin however it would be different from surface piercing as it involves titanium piercing embedded in the microdermal layer in skin. Normally, microdermal piercing will have a lot of holes that would give enough room for growing skin and stabilizing piercing in the most excellent way. Microdermal piercing procedure will be performed on the flat surface of the skin so that it can be possible on all the parts of the skin accessible to the standard piercing. The procedures for the Microdermal Piercing are usually performed with the dermal punch or needle. Therefore, Dermal Piercing will be done using the punch or the pouch that are made in many different methods. When you are using the needle, pouch is made separating the skin. However when the dermal punch is used then pouch is made with the removal of tissue a bit. Microdermal punch would be less painful and they are used commonly. The procedures starts with identifying point of piercing along with which area are sterilized and marked using the surgical marker. The microdermal punch used to remove skin tissues along with which the anchor will be placed below the skin with a piece of jewelry using surgical forceps. The entire procedure of Microdermal Piercing will take about an hour. Back Dimples Dermal Piercing is done with giving you the most awesome look with fantastic beauty. Back Dimples Dermal Piercing can be easily made at a cost of $40. Back Dimples Dermal Piercing are completely painless and It is quite difficult to clean these on the back so that it will be quite easier for getting a new look. Get high extensive experiences with a back dimple piercing and surprisingly they are much easiest option to care for and they would heal really quick. Some people are scared because they were on my back that they would hurt when they are sitting or lay down. 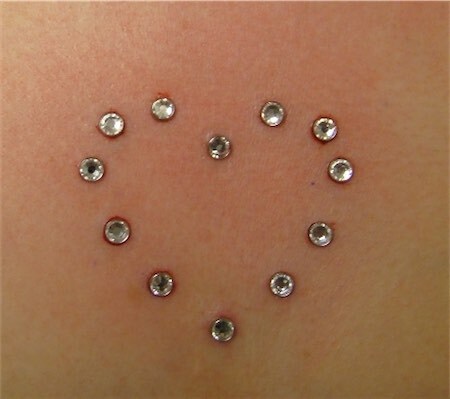 But it is quite convenient for using this amazing Back Dimples microdermal piercing. It would give a neat and beautiful look while wearing bikini. 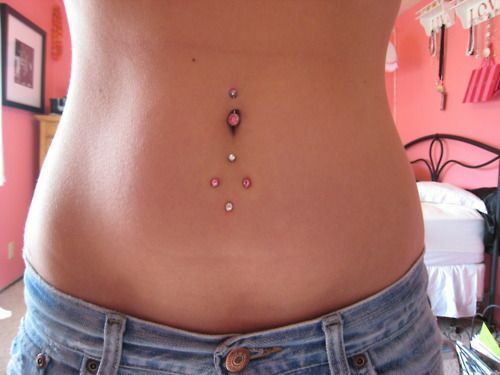 Stomach Dermal Piercing is quite famous for increasing the beauty while wearing the luxurious dress or bikini. Stomach Dermal Piercing is available at the cost of $40. Normally, the Stomach Dermal Piercing hurt a little less when compared to the Chest Dermal Piercing but more than by Back or Wrist Dermal Piercing. 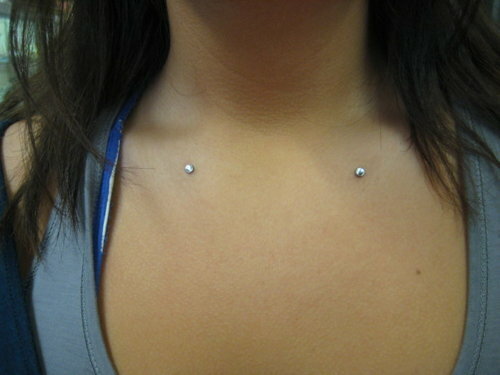 In fact, these microdermal piercing are completely clean to offer the amazing look. It is necessary to be careful that they didn’t get caught on pants. You can easily make the sea salt soak and they will be just fine. The Collar Bones Dermal Piercing are type of surface piercing that done in collarbone area and they are lesser seen suits people who do not wear the neck accessories. 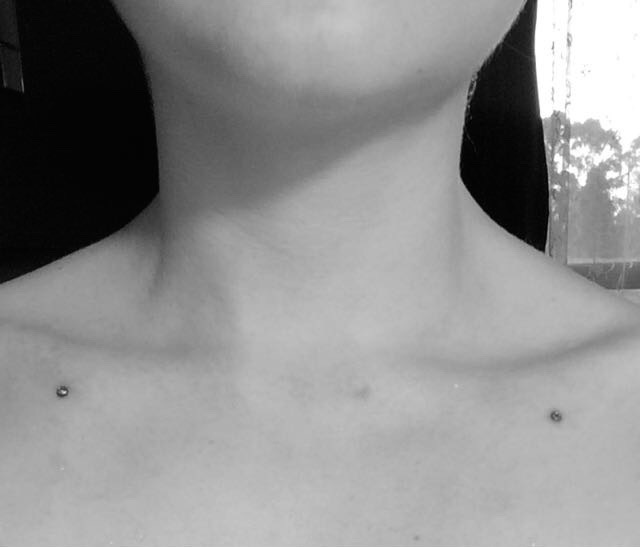 Collar Bones Dermal Piercing is painful unique type of piercing and it would hurt less for the better pain threshold. There could be minor bleeding after the piercing is done. 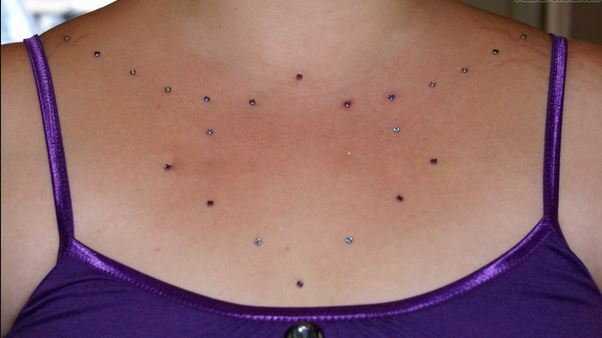 These microdermal piercing would cost around $50 to get a beautiful look in the higher extensive manner. Thinking about getting a microdermal piercing? If so, then Hand Dermal Piercings would be the convenient choice to increase the beauty in the extensive way. 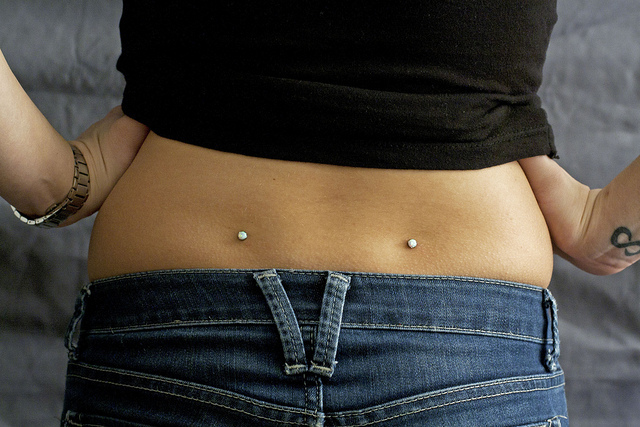 These kinds of dermal piercings are single-point surface piercings when compared to the traditional piercings going to the flesh and out the other. The piercer uses dermal punch for removing the smaller circle in the flesh. Hand Dermal Piercings costs $50 so that it would be quite easier to have the beautiful look.